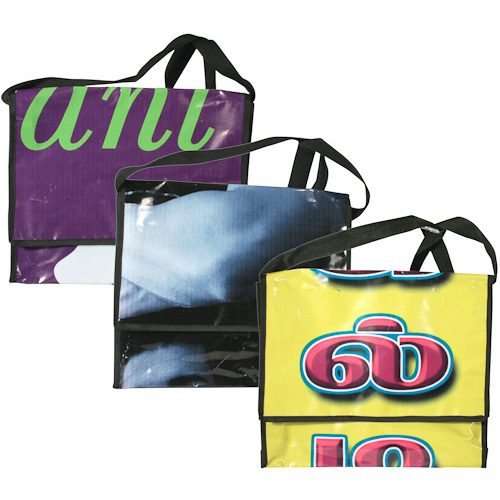 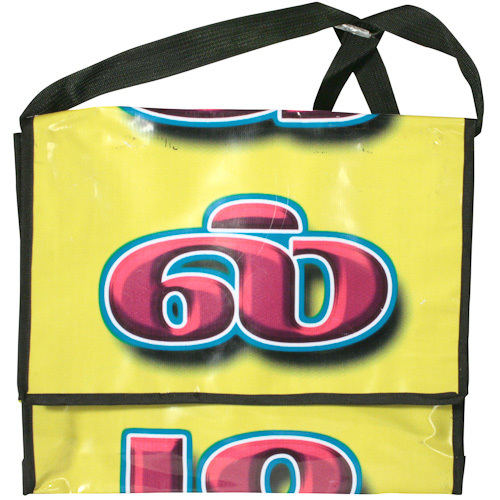 These recycled billboard bags are the best way to advertise "Eco-Friendly"! 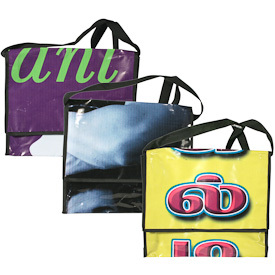 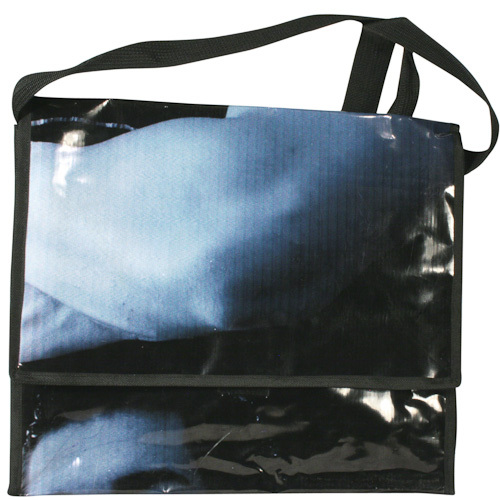 Our messenger bags are made from discarded/ rejected billboards and are lined with 100% cotton fabrics. 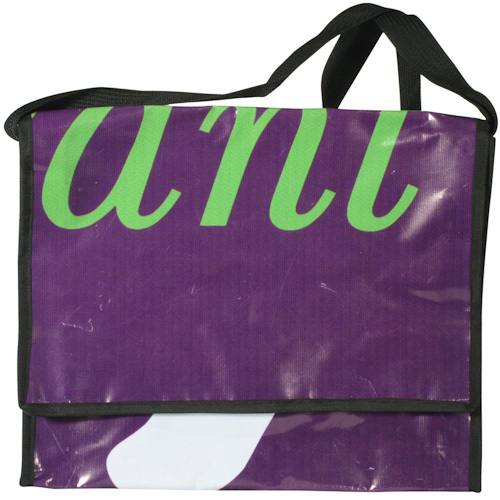 Make a statement with this eco-chic bag at a picnic, day trip or just a routine day at school.